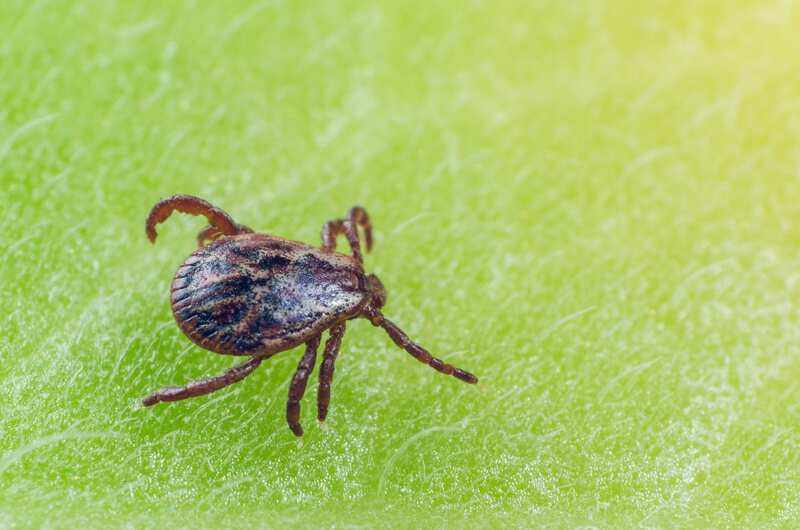 Discovering ticks in Denver can not only ruin outdoor fun, but it can also pose potentially serious health risks. Get Lawn Doctor’s tick control treatments and get back to enjoying your lawn the way that you deserve to. Our sophisticated solutions deal with any current infestations and protect your property from future invasions. With industry-leading products that are family and pet-friendly and a dedicated customer satisfaction policy, you’re sure to get the quality care from our pest control services in Denver. Ticks are more than just a nuisance in Denver. They often carry threatening illnesses, like Lyme disease, that can be fatal if gone untreated. But with Lawn Doctor’s innovative insect control, you don’t have to live with a fear of ticks ay longer. Our professionals use a preventative approach to keep ticks out of your lawn. Four times a year, we’ll apply our Yard Armor treatment that sets up a barrier that stops ticks from your Denver yard. Our exterminators spray common breeding grounds for ticks like thick shrubs and mulch beds to be sure that we find the root of the problem. We’ll also spray in hard to reach areas, like underneath decks. Lawn Doctor’ exterminators strive to protect Denver’s natural beauty. We only use eco-friendly products in our treatments that work with the environment to keep pests off your property. Any treatments we apply within your home are minimized to lower the amount of exposure to your loved ones. For the benefit of Denver residents, we’ve left old pesticides behind in favor of our cedar and peppermint oil product that deters airborne insects from your perimeter and gives off a pleasing smell rather than a repulsive one. We are a family owned and operated business that originated in 1972. Our first operation opened in Denver before moving into Colorado Springs and the onto Pueblo. Today we proudly serve the entire Greater Denver Metro region with trustworthy tick removal services. We pledge to give Denver residents the quality insect control that they deserve at prices they can afford. Lawn Doctor prices matches any competitor, and we’ll come back and reapply your treatment if it is unsuccessful. Be sure to give us a call here at Lawn Doctor for all your lawn care and pest control needs. We believe that every residential and commercial property should have the best care available to them, which is why we provide year-round service to the Denver area. We have made it our mission to provide premium landscape services throughout Colorado. No job is too big or too small. So, if you are looking for naturally-based lawn pest control treatments or wanting an entirely new lawn, talk to us today!